GUI L10N: GUI (Graphic User Interface) text extraction, RC or property file translation, debugging user interface testing etc. 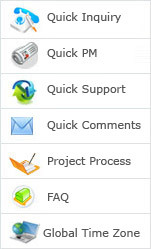 Online Help L10N: With translation tools like Trados and helpful compilation tools like RoboHelp and WebWorks, we can fully localize online help and deliver ready-to-publish products (.chm or WebHelp). All index, sorting, and search functions will be localized in accordance with the target language’s conventions. Documentation: With glossary and translation memory, we can maintain consistent terminology, phrase use, and translation style throughout the document, user interface, and online help. Output includes high and low-resolution PDFs, compiled Help format, etc.